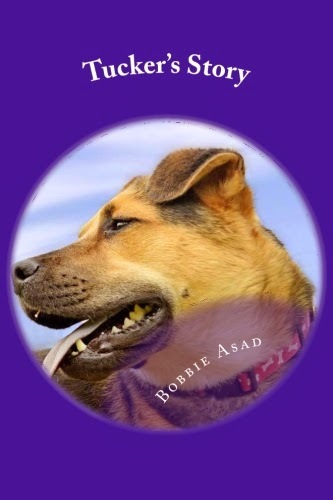 Today we are interviewing Bobbie Asad, author of the children's book Tucker's Story. Bobbie is an electrical designer, laid off from a consulting engineering firm, she embraced the change and became the owner of Mad Hatter. Bobbie opened Mad Hatter in its present location about a year ago in downtown Fuquay-Varina, North Carolina, where the unique shop has been earning rave reviews. Bobbie's skills as an entrepreneur are apparent in the range of services and delights available in one shop from teas and tastings to hats for every occasion, along with locally produced and sourced lotions, sprays and soaps. I am a new writer, I started one book over a year ago, put it aside, and recently finished it. It will be the next one to be published once the illustrations are complete. First ebook published September 15th, 2014. Mad Hatter Tea Society (short story). Second book (paperback and ebook) published October 8, 2014. Young children, kindergarten and above. Elementary and Middle School Children too. Tucker is a real dog, my rescue dog, and this is his story. While the book is fiction based on truth, a lot of the book did actually happen. His former owners abandoned him, a rescue group found him, and I adopted him. He is such a kind, gentle, laid-back dog, who was already trained by his former owners. Dog Trotters is a real facility, and a drawing of him is used in their logo. As an avid reader, who reads mostly ebooks now, I understand the convenience of being able to purchase ebooks. I use a computer – I can type faster than I can write on paper. My next book is about Truman, another rescue dog, that was adopted from a local shelter when she was five weeks old. Tucker is real, so is Dog Trotters, and he really is a part of their logo. Nice interview! Congratulations on your new books, Bobbie!